Orange Plunge provides tasty design and strategy by an ad agency guy who does work on the side. The marvel of Orange Plunge is its combo-platter of visual design, branding/marketing, and web development. Operated by a one-man-gang, Orange Plunge is strongly suited to rescue small businesses with its multifaceted services, and large companies with focused consulting wisdom. Orange Plunge gushes boldness and the fearlessness to be different. Your business can't afford to be a carbon-copy of everyone else. Don't be lame. Take the plunge. Be bold. 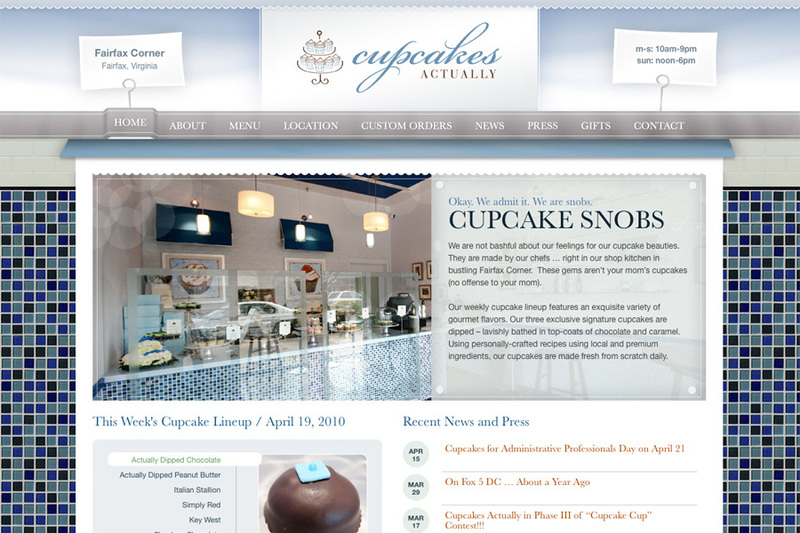 This is a screenshot of Orange Plunge's design of Cupcakes Actually.